If I had to choose one food love for the remainder of my life, it would hands down be donuts. Ok, and pizza. I really love pizza. Depends on the day and my cravings, ya know? But today, it’s donuts. And sometimes, you just REALLY want a good donut. But you’re trying to eat healthy, and the struggle is real. Anyone? 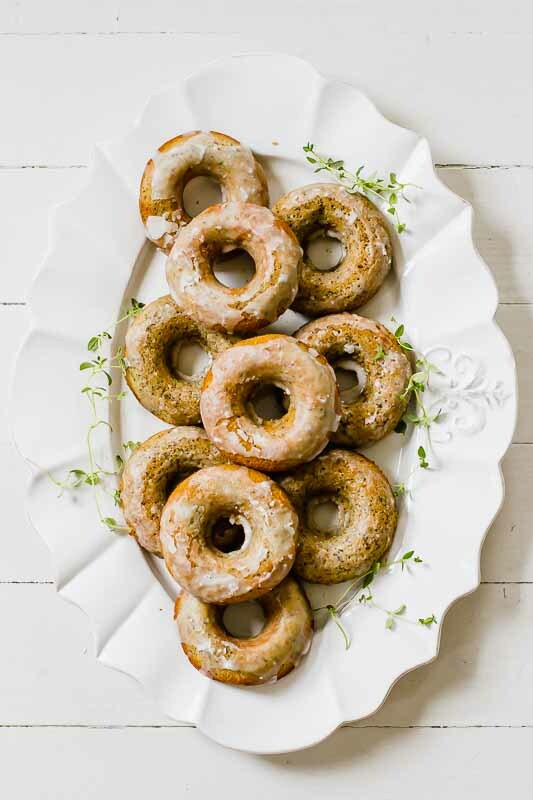 Introducing one of my new faves: Lemon Poppy Seed Healthy Baked Donuts! All the feels with these healthy donuts, y’all. I’m so obsessed. What can I top my healthy baked donut with? 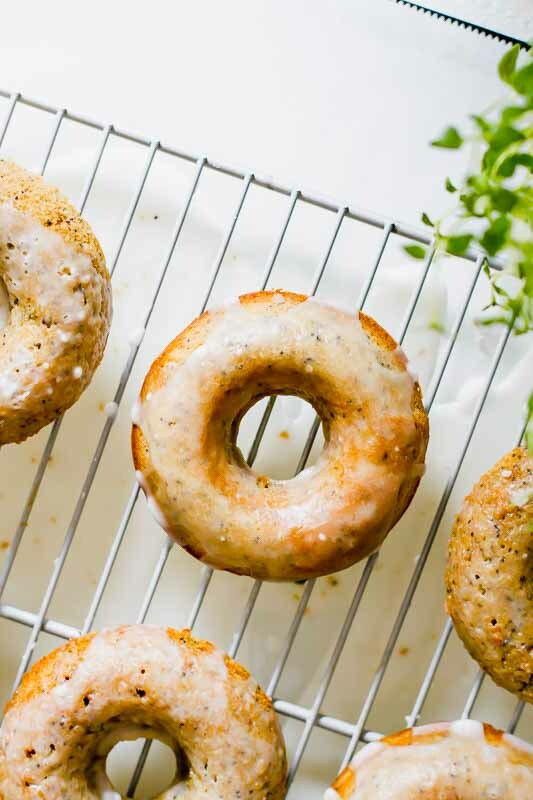 What’s in Lemon Poppy Seed Healthy Baked Donuts? Rolled oats, baking powder, poppy seeds, eggs, cashew butter, banana, lemon extract, and honey. That’s it! You will need a donut pan or donut maker. Mix all of the donut ingredients together in a food processor (I absolutely love using my Ninja food processor for this) and pour into the donut pan. Bake for about 30 minutes and done! Top with glaze (recipe below) or add your toppings of choice and enjoy! Love donuts? 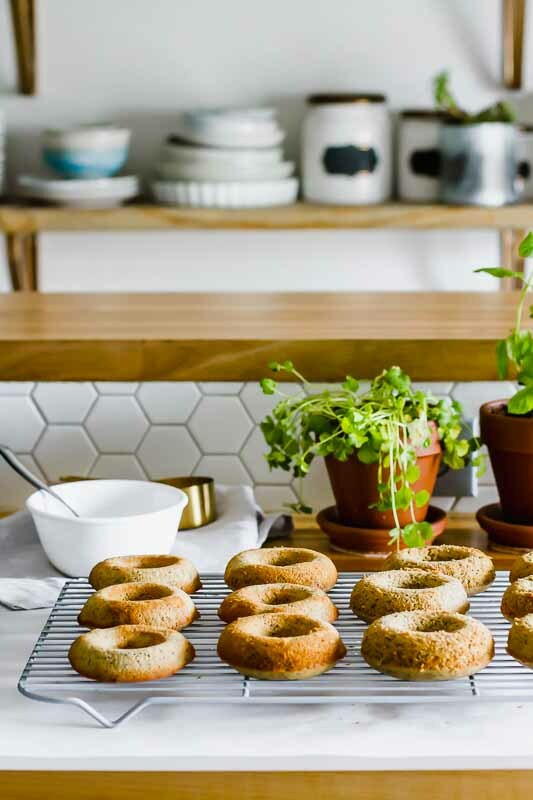 Here are more healthy baked donut recipes! Place the rolled oats in a blender or food processor and blend into a flour-like texture. Add the baking powder, salt, eggs, cashew butter, banana, lemon extract, and honey, then blend (on a low setting) until everything is evenly mixed together. Add the poppy seeds and hand mix into the batter. Pour the batter into an oiled donut pan and bake for about 15 minutes (or until a toothpick comes out clean). 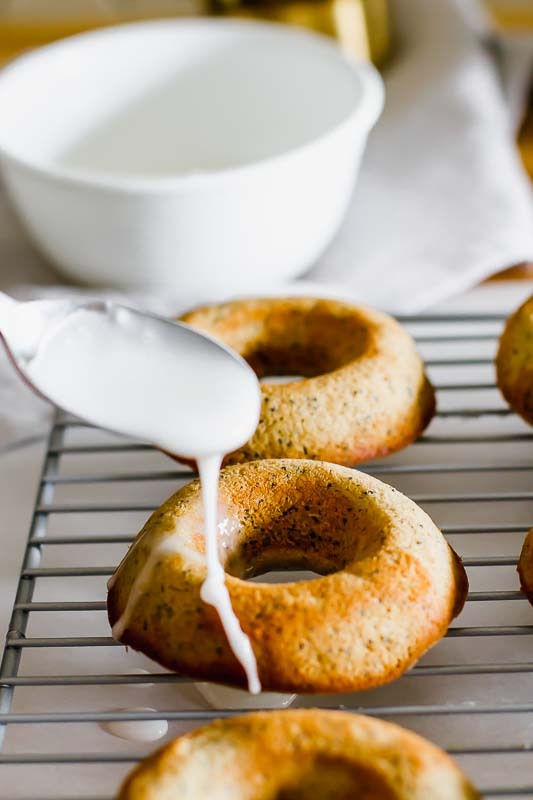 If desired, mix the sugar and milk to create the glaze and drizzle over the cooled donuts. *calories do not include glaze (add 40 calories per donut if adding glaze). 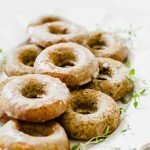 Get more healthy recipes (like delicious donuts) and a FREE 5-Day Nutrition Plan sent to your inbox by subscribing HERE! These donuts look both delicious and adorable!